Merritt Pecan Company is located in Southwest Georgia, one of the world's best areas for growing pecans! 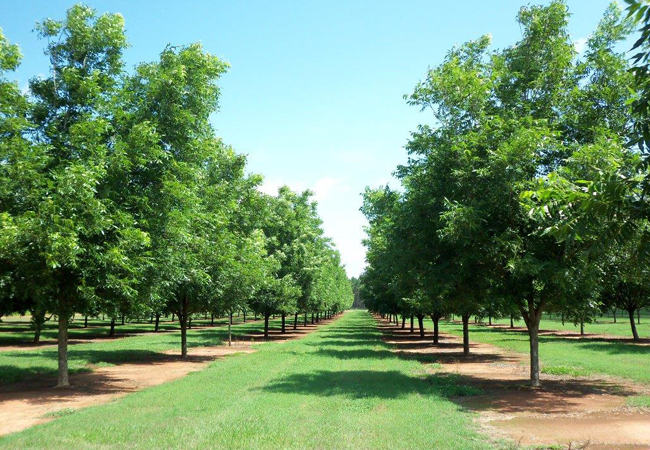 Our company has been in business since 1980, starting out as a small buying point for local pecans. Over the years, we have expanded the business into a general store decorated with interesting memorabilia that offers a “step back in time”. Our retail location is also a Chevron Foodmart and is the perfect stop for travelers. Merritt Pecan Company, located on Highway 520 in Weston, Georgia specializes in farm-fresh pecans. Our pecans are grown and harvested on our own farms and then processed at our plant, allowing us to provide quality products at competitive prices. 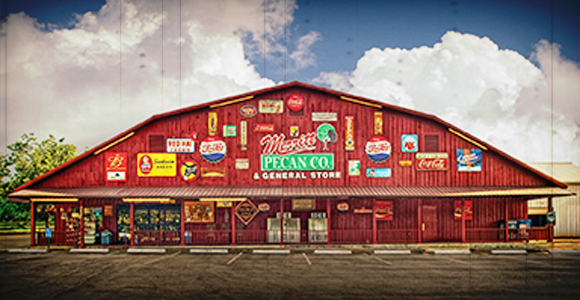 Welcome to Merritt Pecan Co.
Our company has been in business since 1980, starting out as a small buying point for local pecans. Over the years, we have expanded the business into a general store decorated with interesting memorabilia that offers a “step back in time”. Our retail location is also a Chevron Foodmart and is the perfect stop for travelers. We offer a wide variety of products from inshell pecans, shelled pecan halves and pieces, candies, nut samplers, and gift boxes that make a special treat for any occasion. Our new crop of pecans is usually available around October 15th, weather permitting. We keep our pecans, which are certified kosher, in cold storage in order to serve our customers year-round. We have a loyal following here in Georgia, but our mail order and online store allow us to reach customers all over the world. Our online store features our most popular items and the prices include delivery within the 48 states. Our orders are shipped promptly by UPS or USPS. We can assist with gift orders for family and friends or clients. If you can’t find what you are looking for, please contact us. We are thankful for all of our customers, who are our best advertisers!